AMBASSADOR’S COURTESY CALL ON FOREIGN MINISTER OF SAO TOME & PRINCIPE IN LUANDA ON 21 DECEMBER 2018. Ambassador H.E Mr. Srikumar Menon paid a courtesy call on Hon'ble Foreign Minister of Sao Tome & Principe - Her Excellency Ms. Elsa Pinto on 21 December 2018 at the STP Embassy in Luanda. The STP Minister is currently in Luanda on an official visit. 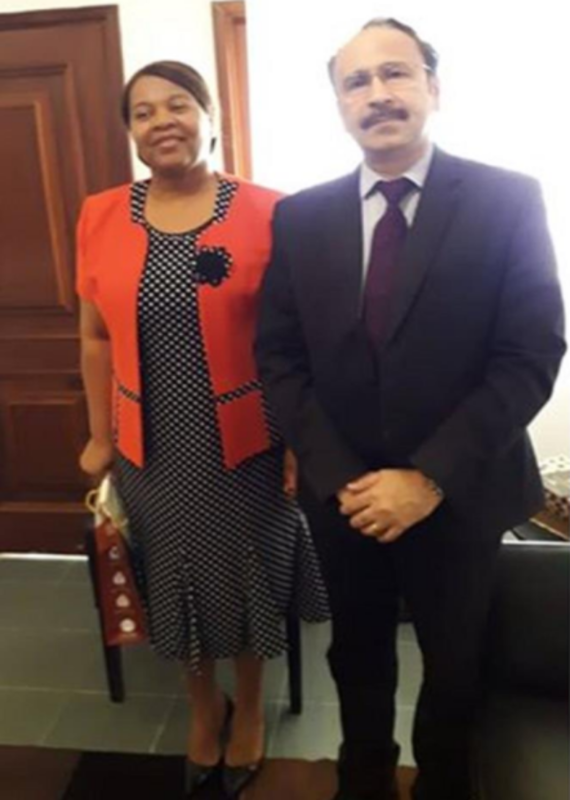 Ambassador Menon reaffirmed India's continued commitment to support Sao Tome & Principe through developmental assistance, technical cooperation and capacity building and in facilitating the rapid economic & social development of the people of Sao Tome & Principe.